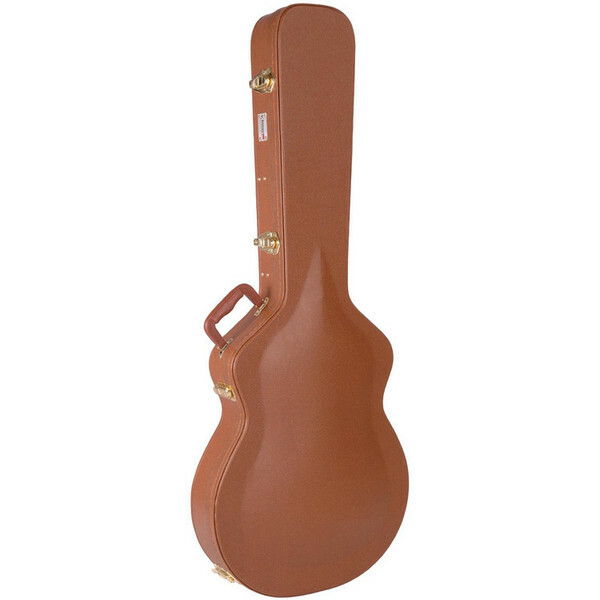 The Kinsman Vintage Hard Shell case provides you with years of safe guitar transportation. Fitted with double brown leather grain textured cloth, retro style stitched valance and four gold coloured clip-over catches it looks the part too. The case also comes with a padded body surround compartment, lightweight wooden shell, neck support and a hinged lid storage compartment for all your guitar accessories. This case really is the perfect mix of style and security! It has a brown leatherette finish and a pink soft lined interior, with pocket for leads etc. Designed specially to fit an arch top hollow body style guitar.